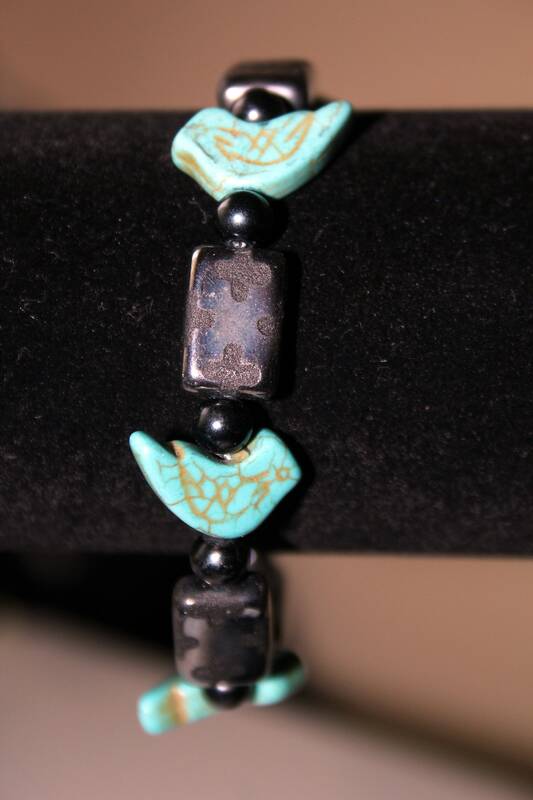 This bracelet is made with four turquoise colored (dyed howlite) birds spaced with black onyx round beads and five rectangular hematite-like glass bead etched with foursquare pattern. 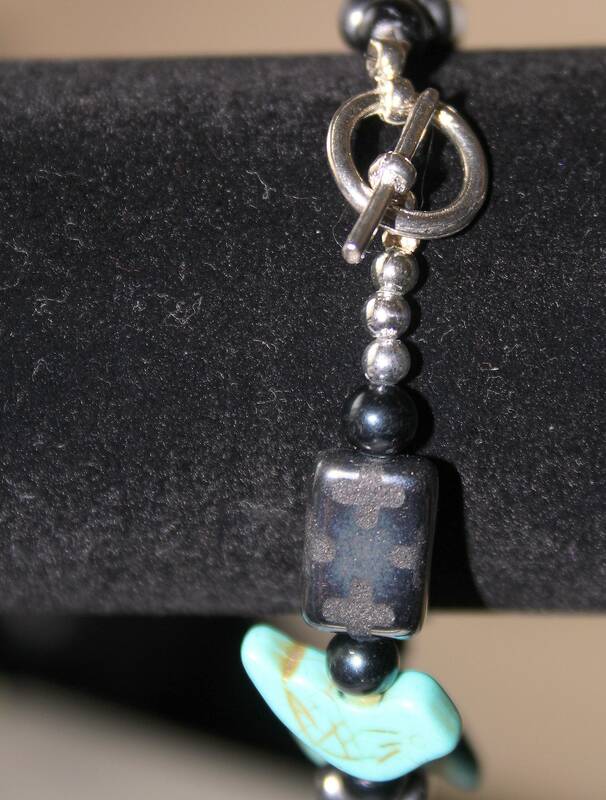 It has a silver toned toggle clasp and silver toned spacer beads and will fit an average 7 1/2" wrist. 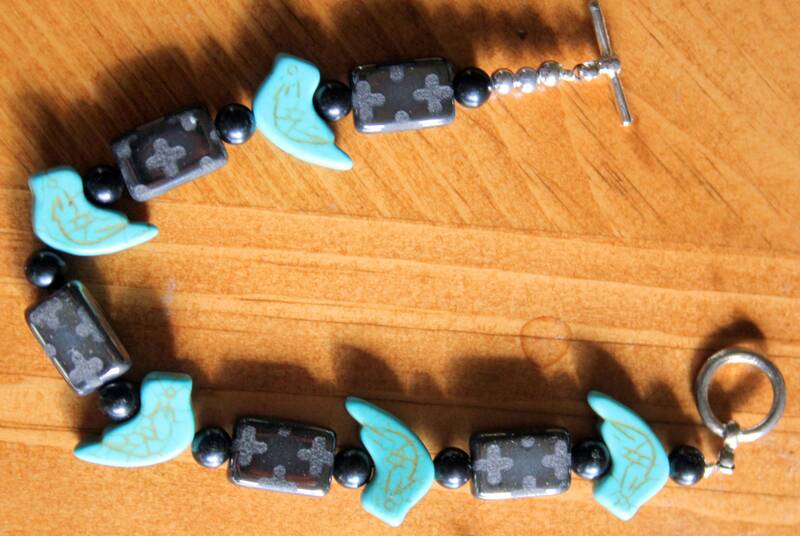 The bracelet is strung on 49 strand vinyl coated bead wire for strength and flexibility. It compliments a southwestern outfit or worn just for fun and color.